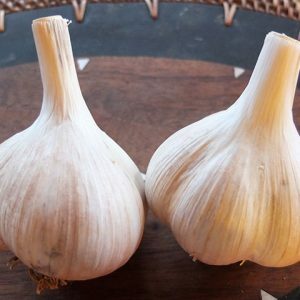 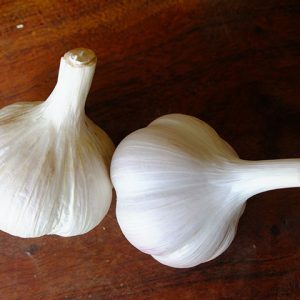 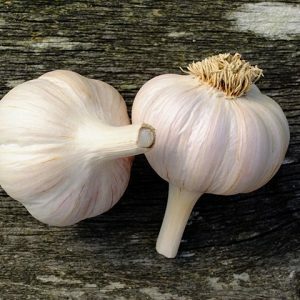 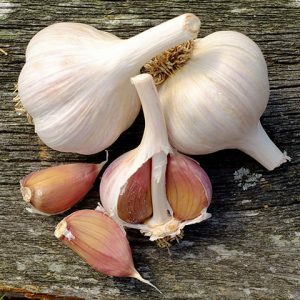 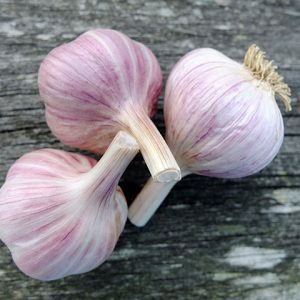 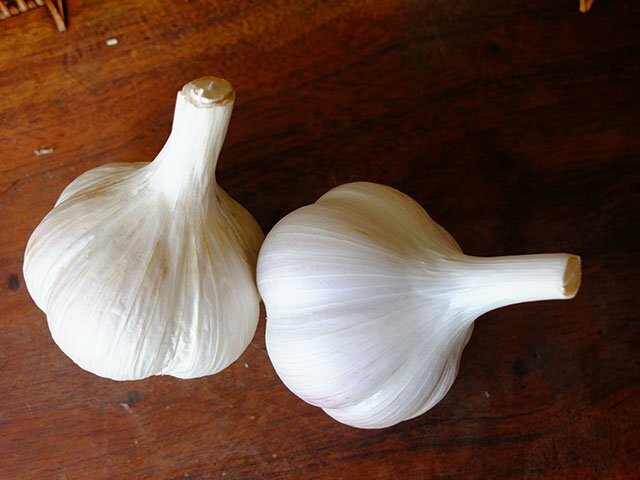 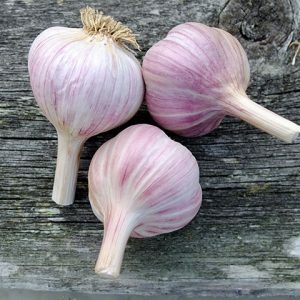 (Mild) – A large plump garlic with white wrappers (skin) usually 5 fat cloves. 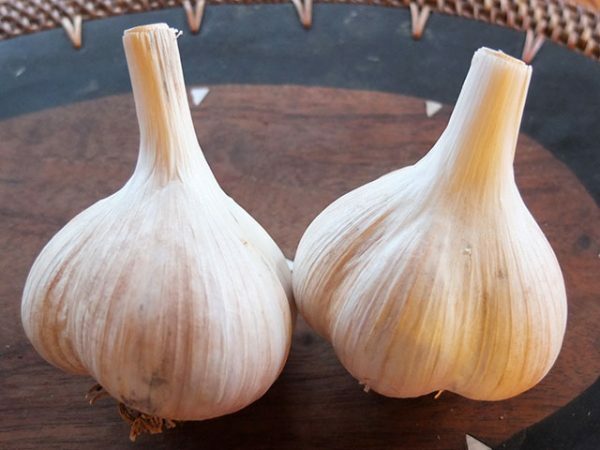 Mild yet richly flavoured. 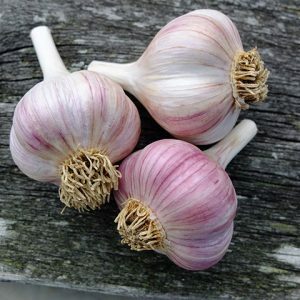 Stores well until spring. 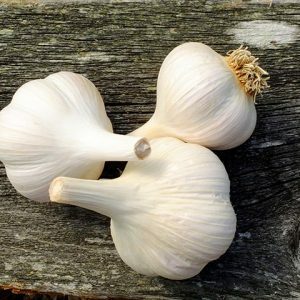 We understand it was collected in Cichisdzhvari, in the Republic of Georgia. 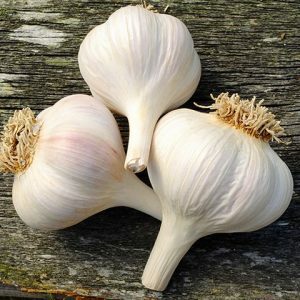 One of our best producers. 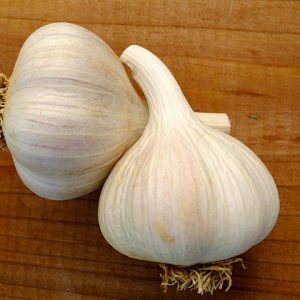 (Mild) – Milder garlic. 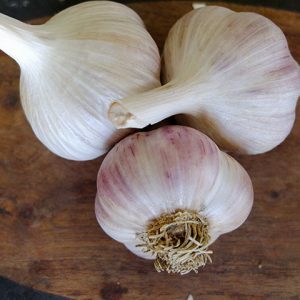 Can be eaten raw (in pesto or salsa) or roasted for a smooth buttery flavour.